Sick of all the political headlines? 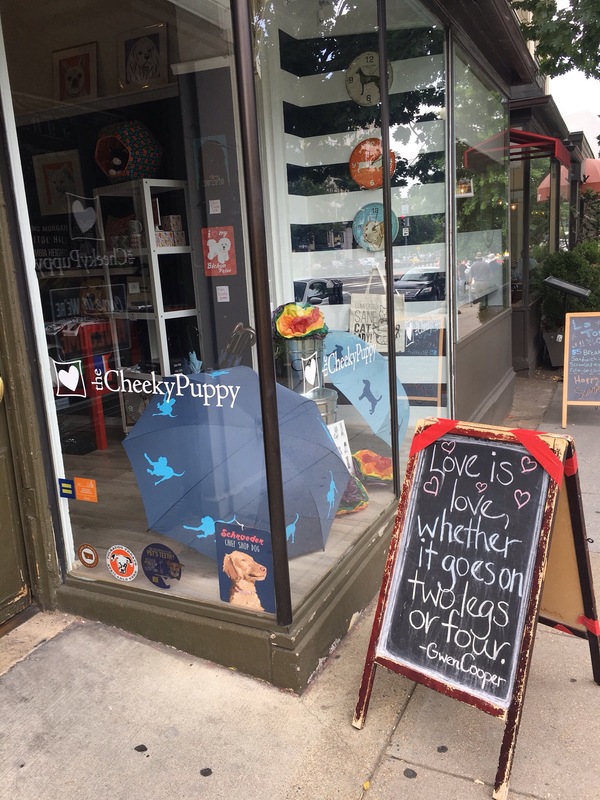 Take your pup downtown for a visit to The Cheeky Puppy pet boutique, where he can select a Democratic donkey or Republican elephant tug toy to gnaw on for you! 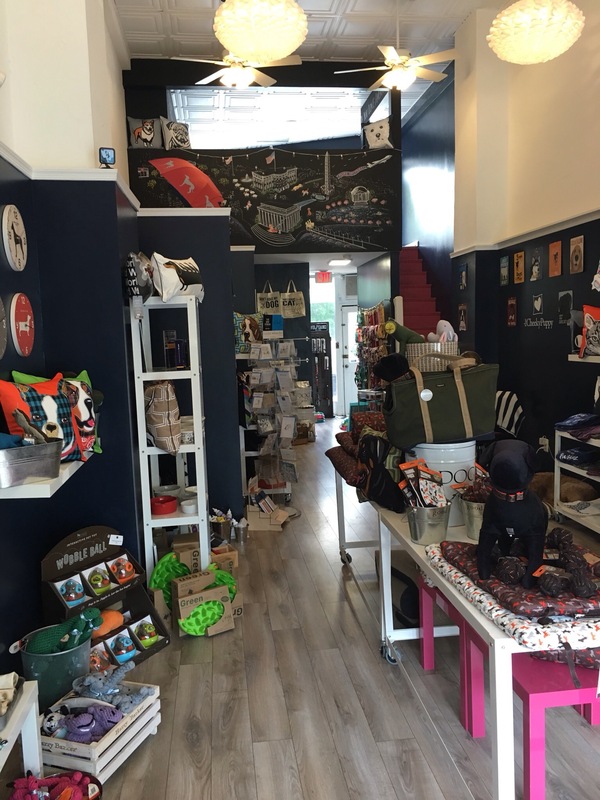 Located at 1709 Connecticut Ave. NW, Washington, DC 20009, the shop has a good selection of reasonably-priced toys, collars, leashes, home decor and other items for dogs and their humans. 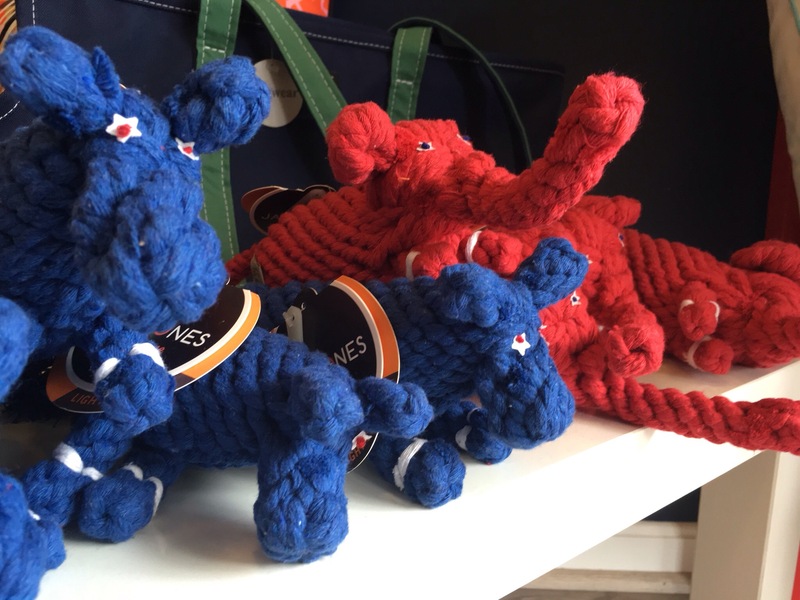 Many of their dog toys are Eco-friendly and/or educational, fitting for their DuPont Circle clientele. 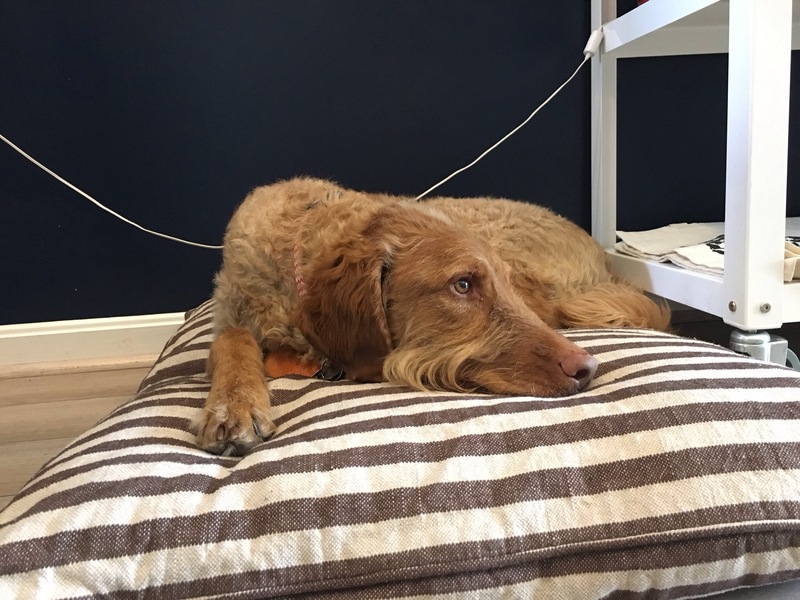 Work downtown in a pet less office and need a lunchtime fur fix? Stop by to see Schroeder, the Chief Shop Dog, who keeps a (mostly) watchful eye over things. 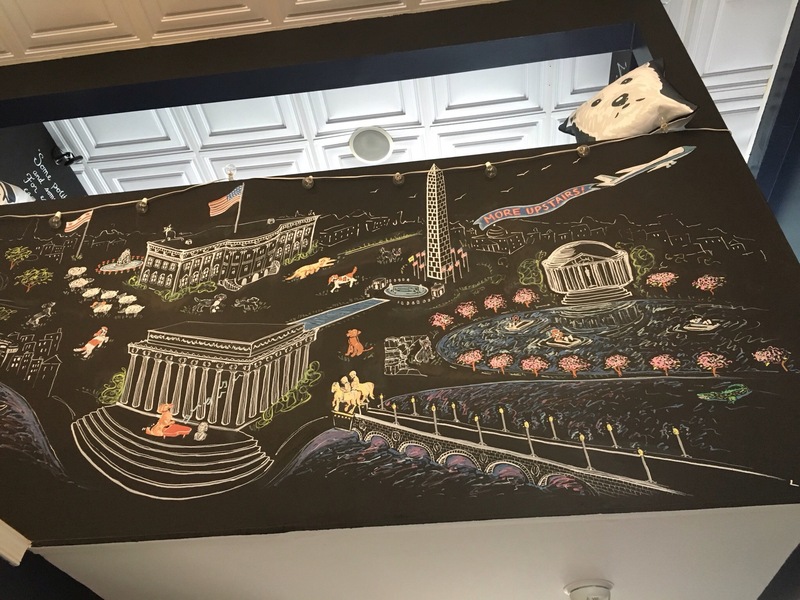 This unique mural featuring dogs enjoying the iconic DC monuments overlooks the shop floor. Don’t forget to follow Two Dog Tales on Instagram!